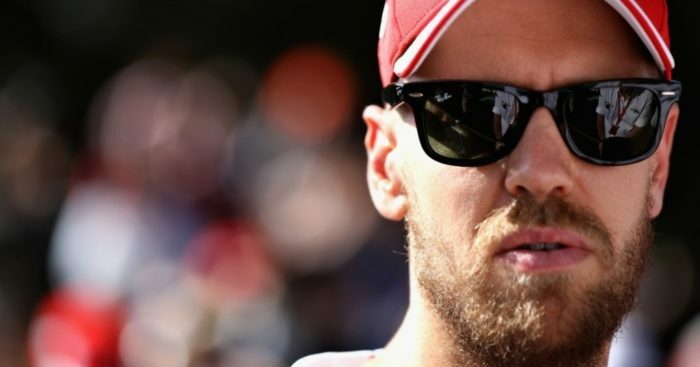 Sebastian Vettel is adamant he is not thinking about this year’s World title despite many predicting that Ferrari are the favourites heading into the new season. The German and his team-mate Kimi Raikkonen were the pace-setters in pre-season testing with the Finn quickest of all. It was, at least on paper, a successful pre-season for the Scuderia who showed both pace and reliability. That has led to many, most vocally Lewis Hamilton, stating that Ferrari is the team to beat this season. Vettel, though, insists he’s not thinking about the prospect of a 2017 title tilt. “If you win races you also start to talk about the championship, but not before,” he told Sky Sports F1 in Melbourne. “Also, it’s March. I am not a genius but I don’t think it takes a genius to know March, April, May, the first two thirds of the championship, you don’t really need to focus on the championship [title], you just go race by race, go flat out, and see where it takes you. As for Vettel naming his 2017 ST70H Gina, the same first half of a name of that of Michael Schumacher’s daughter Gina Maria, he says that was just a coincidence.